Sunday is the last Live Racing Day for the 2010 season. A season filled with much anxiety, stress and uncertainty. People are Appointed by the Governor. Their time is up, they leave and new appointees come in. So let’s examine what qualifications these individuals have to mand so many people whose fate they hold. And why in the world was Horse Racing ever put under them. Michigan’s Horse Racing Dilemma. The House that wouldn’t move. A 1999 Report ignored by The House of Representatives. Pinnacle Race Course Merry Go Round ~ I knew I had heard all this before. Tagged as Bill Shea, Casino's, Crain's Detroit, Ed Boike, Governor Granholm, Horse Racing Simulcasting Revenue, Huron Township Mi., Jerry Campbell, Mackinac Center for Public Policy, Michigan Capitol Confidential, Michigan Government, Michigan Jobs, Michigan Legislators, Michigan Politics, Michigan Thoroughbred Horse Racing, Pinnacle Race Course, RACINO'S, The Michigan Economic Development Corporation, Tom Gantert, Wayne County Land, Wayne County Mi. Perhaps a Change of Heart? or just the Truth. “Schizophrenic” State Planning on Horse Racing. Now that’s more accurate Tom Gantert. Horse racing industry is both victim of state efforts to kill gambling and beneficiary of state efforts to subsidize gambling. Now we are talking what is Horse Racing’s real issues and problem here in the State of Michigan. PINNACLE RACE COURSE ALIVE? YOU BET YA! AND WHY NOT. State Officials use the Law finally to help a Troubled Business Officials from the Michigan Economic Development Corporation – the state’s flagship economic development agency – changed their mind about not giving a now-financially troubled race track millions in tax subsidies. This came after an original rejection of the deal by the MEDC led to queries from top Wayne County executives and the governor’s office. Thank God somebody has come to their senses. Tagged as Ed Boike, Governor Granholm, Huron Township, Huron Township Michigan, Mackinac Center for Public Policy, Michigan Capitol Confidential, Michigan Government, Michigan Horse Track Stays Alive, Michigan Horsemen Benevolent Protective Association, Michigan Jobs, Michigan Legislators, Michigan Movie Tax Breaks, Michigan Thoroughbred Horse Racing, New Boston Mi., Pinnacle Race Course, State of Michigan, The Michigan Economic Development Corporation, The Michigan Thoroughbred Horsemen/Women, Tom Gantert, Wayne County Land, Wayne County Mi. California the First State to Approve Exchange Betting to Help Racing at Thoroughbred Race Tracks. Pinnacle Race Course Pays Water Bill. But on the property itself, If Huron Township had any sense? PINNACLE RACE COURSE AND THE MICHIGAN GAMING CONTROL BOARD! Tagged as Governor Granholm, Horse Racing, Huron Township, Huron Township Mi., Jerry Campbell, Lisa Campbell, MGCB, Mi. HBPA, Mi. Thoroughbred Horse Racing, Michigan Government, Michigan Horsemen Benevolent Protective Association, Michigan Legislators, Pinnacle Race Course, The Michigan Gaming Control Board, Wayne County Mi. The Michigan Horsemen’s Benevolent and Protective Association Offers to pay Pinnacle Race Course’s Water Bill, But told by Pinnacle Sorry Not Enough. Where and when does all this insanity stop? PINNACLE RACE COURSE IS RACING THIS WEEKEND. RANSOM WAS PAID TO THE MICHIGAN GAMING CONTROL BOARD. That is what this was. Holding Thoroughbred Racing Hostage in Michigan. PINNACLE RACE COURSE IS BEING HIJACKED BY THE MGCB: MICHIGAN THOROUGHBRED HORSE RACING HAS GENERATED $5,594,667.00 current fiscal year off 3.5% Simulcast Tax. But Threatens to Shut Pinnacle Race Course Down Today at 12 NOON Unless WE PAY THEM $57,000 MORE. THIS IS A CONSPIRACY. 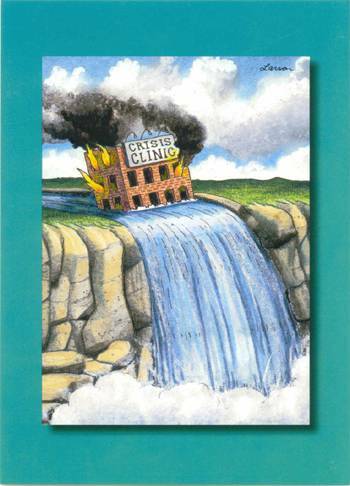 PINNACLE RACE COURSE SOVEREIGN LAND NOW? OH MY, THE WAR DANCE IS ON! I thought maybe a funeral march was in order in the back round for this blog, considering the Huron Township article is talking about our so-called FATE. Envisioning Jerry Campbell singing this not of a woman but Pinnacle. Tagged as Ed Boike, Governor Granholm, Hazel Park Raceway, Huron Township, Jerry Campbell, Michigan Gaming Control Board, Michigan Office of Racing Commissioner, Michigan Thoroughbred Horse Racing, New Boston Mi., Northville Downs, Pinnacle Race Course, The Sault Ste. Marie Tribe of Chippewa Indians, Wayne County Land, Wayne County Mi. Detroit News Columnist Nolan Finley Weighs in on how Unfair Michigan is to Horse Racing. Gary Tinkle on the HBPA site brought up this point last year on how Governor Granholm and Michigan can give The Movie Industry a 42% tax break from Graholm to exist here. Which cost Mi. $120 Million in Revenue. But Horse Racing got 0% Tax break, which brings in over $400 Million. MICHIGAN IS TOO BROKE TO FUND HORSE RACING. Indiana Downs Sets Handle Record. ANYBODY LISTENING MICHIGAN? But now The Detroit News’s Nolan Finely has taken notice as well. More problems for Pinnacle Race Course. Governor Granholm should be happy. After all the Governor wants to kill us off anyway. Tagged as Bill Shea, Crain's Detroit, Detroit Race Course, Ed Boike, Governor Granholm, Huron Township, Jerry Campbell, Ladbroke, Lisa Campbell, Livonia Mi., Mi. Thoroughbred Horse Racing, New Boston Mi., Pinnacle Race Course, Robert Ficano, State of Michigan, Thoroughbred Race Tracks, Wayne County Mi. HEY GOVERNOR JENNIFER GRANHOLM $ 5,404,820.00 GENERATED FROM AN INDUSTRY YOU WANT TO KILL OFF, HORSE RACING. Simulcast revenue produced from 3.5 tax for current fiscal year ending September 30, 2010. Current bal. Oct. 1, 2009 to August 15, 2010. WHY DO WE HAVE TO BEG TO MAKE MICHIGAN MONEY? This is why Michigan is failing in so many realms. They have soooooo much money they don’t need NOTHING. Do You Michigan? KY Commission Approves Form of Instant Racing Supported by Kentucky’s Governor. AGAIN MICHIGAN IS ANYBODY LISTENING? The Indiana Downs meet went out with a bang July 14 with a new total handle record for one program. Michigan Millions of Dollars Throw Away. HORSE RACING. This is what Michigan wants to throw away. MUCH NEEDED REVENUE. Well if Michigan doesn’t want it and since Horse Racing generates it. Why are the Thoroughbred Horsemen having to BUY BACK DATES WITH OUR PURSES? 2010 PINNACLE RACE COURSE DATES APPROVED. ALL THE MORE REASON TO GIVE MI. TRACKS SLOTS. With now Ohio to be soon building and operating Casino’s. No more buses will be full of Ohioans coming to the Detroit Casino’s. As of now they come here full of people from Ohio on a daily basis. This is even more pertinent of a reason to give much needed Gaming to Mi. Horse Racing Tracks. With Pinnacle Race Course being the closest track to the Ohio border. With the combination of both Horses and Slots it may still bring some people into Michigan. The race tracks have always generated and brought in millions & millions of dollars in Revenue to Michigan. And they always will if allowed to continue to exist. With this latest passage on House Bill 4311 by both House & Senate and hopefully with Governor Granholm’s signature later this morning. At least for the present moment we’re not any longer on our last breath. But in reality here, we are still on Life Support. But it doesn’t have to be this way. With added gaming to the tracks, not only will we be brought back to full life. But Michigan will also rake in more of the much needed dollars in revenue. Common sense is 2+2 always = 4 no matter how you add it up. Horses and slots is a Win Win position not only for Horse Racing but for Michigan. At one time The Michigan Mile at The Detroit Race Course was a $300,000 Grade II Race. What’s to say in the future at Pinnacle Race Course it can’t be a Grade I Race. Bigger purses bring in a better quality of horses. All I know if you have no vision in life to stride for the best you can do. You end up with nothing. If you shoot for the stars, most times than not you’ll come out on top. Michigan’s Governor and all of the other Politicians in this State of ours occupying both the House and Senate, better come to a decision and fast. Do We Shoot For The Stars, or do we sit and do nothing watching Michigan sink into an even bigger hole. If our Governor can give a 42% tax break to Hollywood movie makers that have came here, which will end up costing the State Millions. Why can’t the Race Tracks here catch a break of some kind as well. Only the Tracks already bring in over $400 million. The Revenue alone from the 3.5% Simulcasting tax brought in $5,341,057. Imagine what the numbers will be from the slots implemented into the tracks. These are numbers you just can’t ignore unless you choose to. But why would you want to choose to ignore an Industry that could make you so much more? This is no time to drag our feet now on this issue. It’s time for our Mi. Politicians to decide. Is it Success or Further Downhill? We hit BUST a long time ago. I say we shoot for those stars because there’s nothing else left to lose. Gaming at the Race Tracks can only add up to one big giant WIN. For Horse Racing and Michigan. Michigan Horse Racing lives to see another day. Governor Granholm is expected to sign the Bill, Friday November 6, 2009 at 11:00 am. MICHIGAN SENATE, PLEASE WAKE UP! ALL SIMULCASTING AND LIVE RACING WILL HALT FRIDAY NOVEMBER 6, BREEDERS CUP WEEKEND. All Mi. Horse Tracks about to be SHUT DOWN. And yet not one word on our LOCAL MEDIA NEWS STATIONS. WXYZ, WDIV, WJBK, DETROIT NEWS, OR DETROIT FREE PRESS. But the Free Press did do an article on The Hannahville Indian Community, who wants to put up a casino in Romulus. On November 5th because of the Veto of funding to the ORC which in reality was already dissolved by Governor Granholm. Because of lack of money for racing officials. 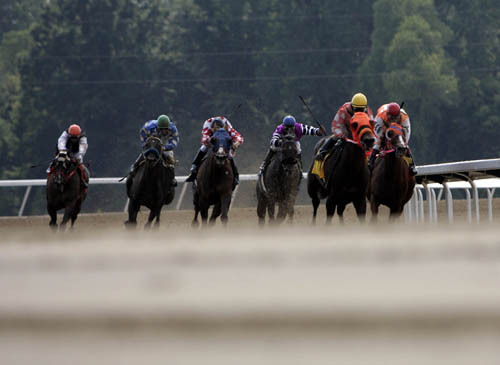 ALL 5 MICHIGAN HORSE TRACKS WILL HAVE TO CEASE OPERATION. That means ALL Simulcasting & Live Racing. And yet the only Media coverage I’ve seen is on links below. Out of Mid/Mi.